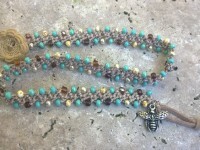 22" long necklace is filled with glass beads and drops in turquoise, aqua, pearls and whites, carefully crocheted onto medium brown nylon thread. 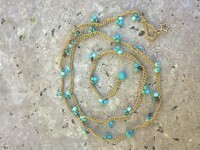 Finished with a large 8mm x 10mm clear pressed glass decorative bead with loop closure. 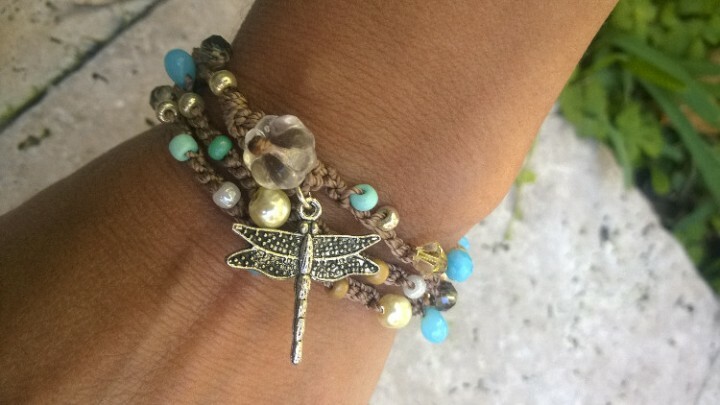 Attached is a silver dragonfly charm. 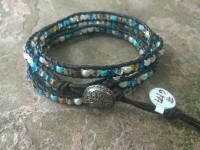 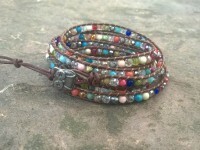 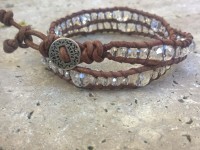 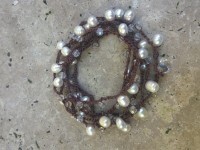 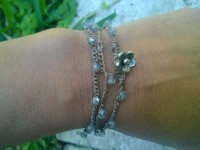 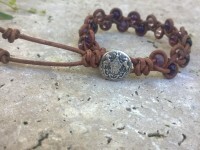 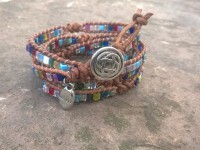 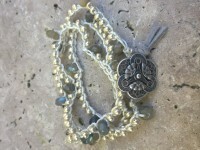 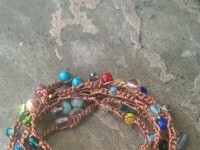 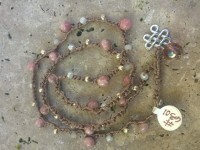 This piece can also be worn as a bracelet wrapped around wrist 3 times.